Thank you DOLE Fruitocracy for sponsoring today’s discussion. All opinions are mine alone. When I started this blog, I wanted a way for my family (in another state) to keep up to date with my new baby girl. (Just for fun, you can check out my first ever blog post. Don’t judge!) Fast forward 8 years later and that baby girl is officially a tween! Gasp!!! Where did the time go? The tween years might be more difficult for her than me. I mean, she’s no longer as interested in Barbies but still absolutely loves pretend play. She wants to walk in the mall and visit Claire’s and the crazy thing — boys are interested in her! Lip gloss, music she can dance to, and having her own money are important to her now. It’s confusing, exciting, scary, and frustrating all at once. I want to be able to support her and encourage her in her independence and creativity. Do you remember these transitional years when you were young? Tween years: support and encourage independence and creativity! Communication – I can talk with and reason with my daughter much easier now than when she was younger. Sure, she cries more, but when I ask her to go to her room, she actually listens well. I can also talk with her about more grown up things, which is nice for a work-at-home mom. Independence – Now that she’s a tween, she can do her own thing and not need my constant attention. She can clean better – which is nice. I don’t have to go behind her to do a better job. She is also making my coffee in the morning, cooking some of our meals, and the best part? She loves it! She wants to exercise her independence and be a “big girl”. Entertainment – I do not like most kids’ cartoons. Now that my Princess is a tween we can enjoy shows for older kids that I actually like. 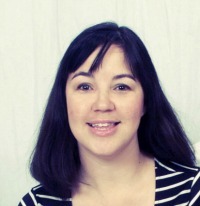 She loves games, so instead of Chutes & Ladders or some other game, we can play Clue, Yahtzee, SkipBo and much more. The books? She loves reading books. The two of us can enjoy books together, you know great story books with chapters and minimal pictures. Whohoo! Tween years: what’s inside matters! Now that she’s a tween, I’ve also focused more on helping her make great food choices. You don’t even want to know what my childhood snacking looked like! I know if we make great choices now, hopefully she will continue making great food choices in the future. We purposely pick healthy snacks options for after school and grab-n-go items we can feel great about her eating. Thankfully, she loves these squeezable fruit pouches from Dole – Fruitocracy. Made with real fruit, no high fructose corn syrup, and non-GMO? They really are the best cross between childhood and teen years. 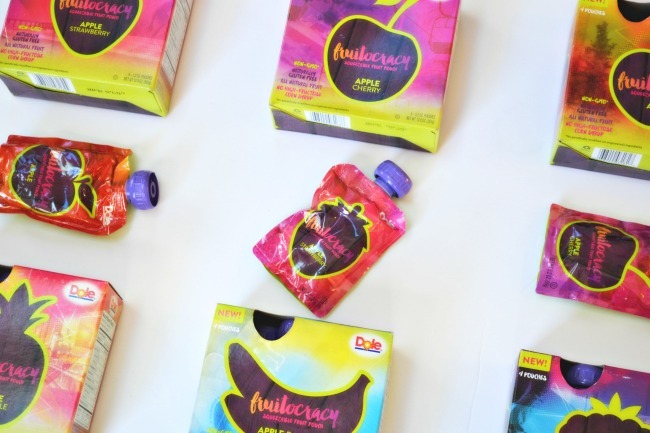 The Fruitocracy pouches come in a variety of flavors and they are perfect for her to bring in her school lunch! 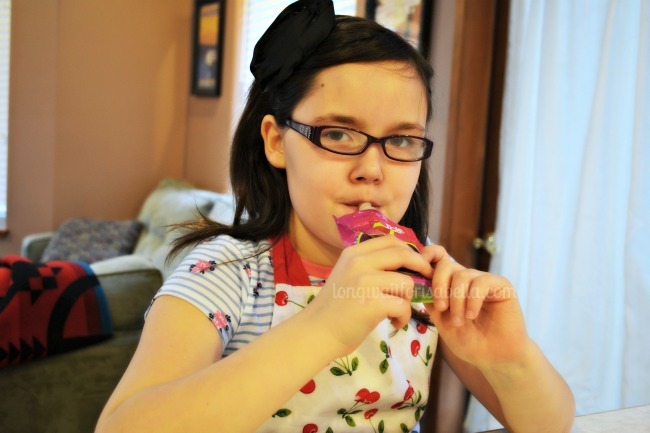 If you have tween kids at home, give Fruitocracy a try — I’m telling you, the kids will LOVE it! This is a sponsored post written by me on behalf of DOLE Fruitocracy. When She’s Ready for Her Own Tween Bedroom Tween Holiday Gift Guide: Fun Tween Girls Fashion Picks Four Tips for Parenting Alone Good Girl Or Not? I loved the tween years as well — I have 3 girls. Now they are all teens, and I’m finding that MUCH more challenging 🙁 I am hoping they will return to their sweet selves again once they reach their 20s 🙂 Fruitocracy looks wonderful. I’ll look for it next time I’m at the store! Honestly, I am a little worried about the teen years, Susan. She’s sensitive, sweet, and cries easily now. Everything is so dramatic. But what will the tween years be like? Oh my! And yes, check out Fruitocracy – all six flavors are amazing! Whar great insight! 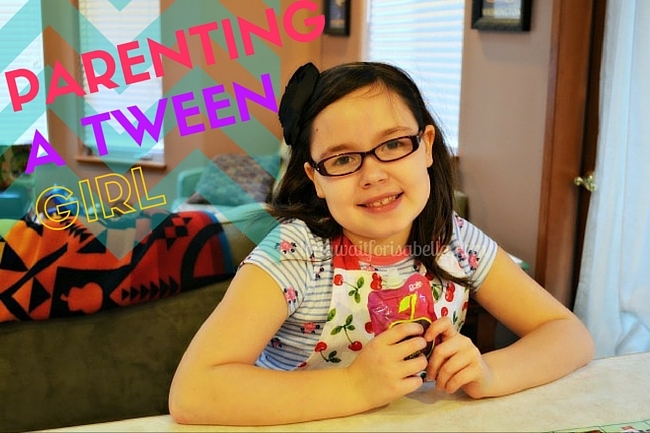 Thank you for sharing ways that having a tween is great. I cannot wait to have deeper conversations with Ellie!! My Mama and I have always had a pretty good relationship and I really hope that I can have one like that should I have a daughter. I’ve seen so many mother/daughter relationships that are horrible and I really don’t want that!! She’s adorable! Thanks, Kelly. I think it’s important for mothers and daughters to have a great relationship too! I can totally relate. My son is only 6 but I feel like I am raising a tween at the time. Today he didn’t even kiss me when I dropped him off at school. I’m glad I read this post today. It helps me face my reality with a little more ease. Sweet post. As the mom of a tween boy and one who thinks he is – I tend to miss the baby stages a lot more these days – but I do love how we can have more in depth conversations and how he can more fully express his ideas and opinions.